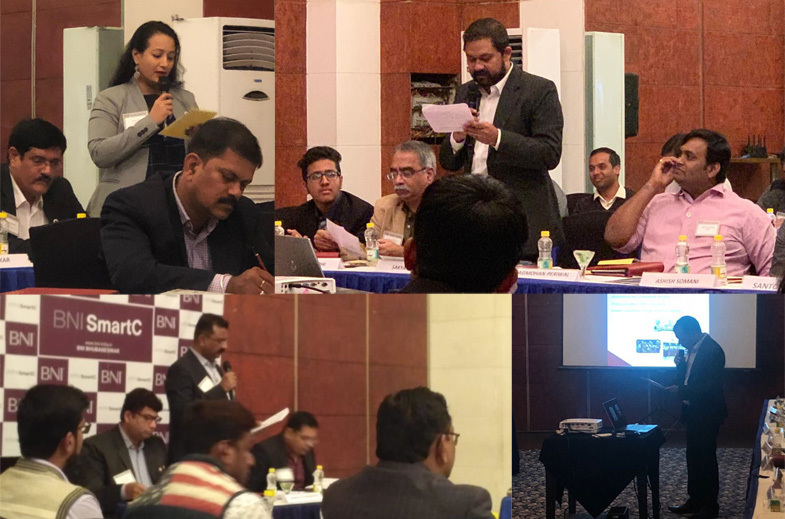 Yet another grand BNI SmartC meet with a total transaction of INR 1701731 at the Hhi. Mrs Sushma Epari started the meet by giving the best intro! Mr Santosh Dhal & Mr Ashiqur Khan for showcasing interesting presentations ! Congrats to Mr Subrat Parida for maximum, Mrs Sunita Mohanty for maximum referrals and, last but not the least Mr Kaushal Dalmia for maximum 121!